for all elements of recovery. 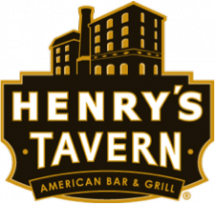 Join us at Henry’s Tavern for food, drinks and pool! This will be a great networking opportunity to strike up a conversation with your fellow IT peers. You’ll be involved as we show footage of actual disasters and how companies quickly and efficiently were able to keep their business running and people working. We will review the secrets to a fully comprehensive business continuity plan. When most people think of disaster recovery, they are generally thinking about the cloud or physical appliance protecting their data. Although extremely important, that is only a piece of the puzzle. If something happened to your office, we will show you how to fully protect your company from being able to restore data, receive new equipment, and even having a place for your employees to work, the very next day. Let us help you plan for the different elements of recovery: Data recovery, Office Space, Power, Communication and Computer Systems.